Highway 158 is not a loop right now! 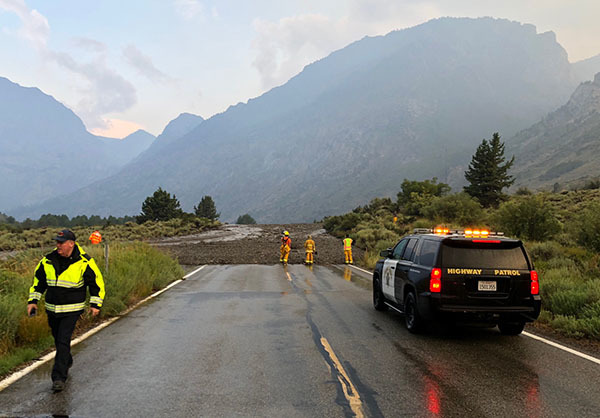 Today at around 6:00 PM we had a mudslide in the June Lake Loop. The slide is on the North side of the loop near the Frontier Pack Station. The slide crossed the highway and even made it to Rush Creek. The loop is temporarily closed at the point of the mud slide. If you plan on visiting June Lake please be sure you to enter town from the South entrance you will not be able to make it past the slide. Condor Tomorrow - Definite Go!